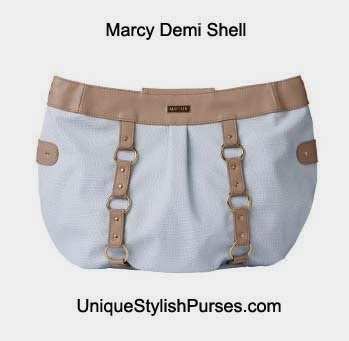 Delicate pale robin’s egg blue gives the Marcy for Demi Miche Bags femininity while lizard-textured faux leather gives her a healthy dose of attitude! Gold hardware accents, a back zippered pocket and chic tan details complete this modern look. Slim oval-bottom design. This Shell matches our Rope Handles (24” tan).